TigerVPN Review – Is The Service Worth It? TigerVPN was launched in 2012 by Tiger At Work & Co. k. s. which is a Bratislava, Slovakia based company. 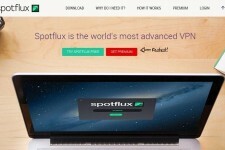 The company brands its VPN service as the “fastest, most cunning and secure” VPN around. In the TigerVPN Review below, we check out the features offered by the service and decide whether it is worth its subscription price. TigerVPN has VPN servers in 6 different countries – United States (Washington D.C. and Los Angeles), United Kingdom (London), UAE (Dubai), Germany (Frankfurt), Romania (Bucharest) and Hong Kong. Although the number of server locations is definitely on a lower side, the company is one of the very few companies to have a server in a Middle Eastern country. The company allows unlimited server switches for all its plans so it is possible to unlock GEO-IP restricted sites from all the above 6 countries with just one subscription. In addition, TigerVPN’s plans would help you to bypass censorship and firewalls imposed by many countries (China, Middle East, Brazil etc. ), organizations, schools and universities and unlock your favorite emailing, video and social networking sites from anywhere. Here is a small list of sites that you would be able to access from anywhere once you subscribe to TigerVPN’s service: ABC, Netflix, NBC, Hulu, BBC iPlayer, OSN, MyTV, Facebook, Zattoo, Amazon Prime, Arte, Skype, Gmail, MTV (US and local MTV sites), Fox, HBO Go, iTV, Sky, PrimaTV, ProTV, ProSieben, Vox, Sat.1, Lovefilm, MLB, Eurosport, Demand5, CWTV, CBS, NFL, Xfinity, Vudu, Twitter, YouTube and RTL. TigerVPN offers unlimited speed and bandwidth with every VPN subscription. The company owns all its hardware and buys bandwidth directly from Tier 1 Upstream Carriers which allows it to support very high bandwidth (as much as 1000Mbps). The service is perfect for those who like to watch HD movies and TV shows online, download huge files, make long distance VOIP calls or play online games for hours. TigerVPN protects your privacy with 128-256 bit encryption which is delivered through PPTP, L2TP/IPSec and OpenVPN protocols. While the OpenVPN protocol is ideal for online activities which require maximum security (such as banking transactions), PPTP and L2TP protocols are suitable for maximum compatibility. The company does not rely on third party software to deliver its service; its VPN solution was created in-house to provide maximum security and privacy. The company even offers a superb Wi-Fi protection so that your banking details, financial transactions, passwords and social accounts remain safe while you are using public Wi-Fi hotspots available at malls, coffee shops, airports, public parks and hotels. TigerVPN does not store IP records or log files of subscribers’ online activities. The company only records usage time and bandwidth use in order to troubleshoot errors and maintain its server network in prime condition. TigerVPN’s VPN solution works with PC (Windows, Mac, Linux), iPhone, iPad, Android Smartphones and Tablets, Wi-Fi routers, Boxee, Xbox 360 and PS 3. The company does not provide custom VPN software but it does offer auto-configuration files for Apple devices (iPads and iPhones). The company provide detailed configuration guides as well as video tutorials so even tech challenged people would find it easy to setup the service. The members also get access to a useful dashboard and a massive pool of IP addresses. The customer support is available through live chat and email. The live chat is available only during office hours so the email is often the fastest way to get quick resolution for technical problems. The support team is knowledgeable and makes it a point to respond to customer’s queries within a reasonable time. TigerVPN does not provide a free trial but it does offer a Test Drive plan that allows you to test the service for 24 hours by investing just $1. As far as regular subscription plans are concerned, the company offers a monthly plan for $9 and a yearly plan for $90. It is even possible to use the service from multiple devices simultaneously by purchasing extra connections (starts from $4/month for one device and up to $7/month for 4 devices). The company provides money saving coupons from time to time and also offers karma points to customers who recommend the service to their friends. The karma points can be redeemed for extending the subscription or to buy extra connections. TigerVPN does not have a refund policy so it makes sense to subscribe to the Test Drive plan first in order to test the service. 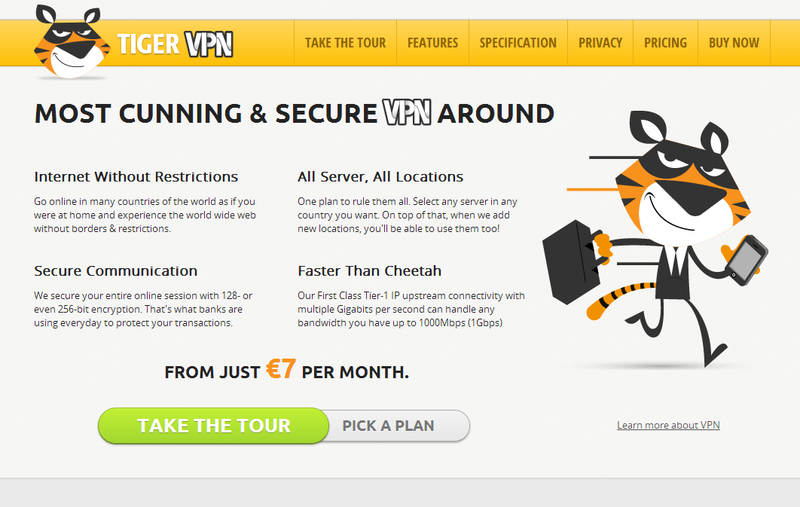 There is no doubt that TigerVPN offers a high quality VPN service and aims to become a major player in the industry. On the downside, the service is slightly expensive and the company still does not have servers in many important VPN markets (such as Canada). We recommend that you subscribe to the Test Drive plan offered by the company to test the speed and bandwidth on offer and then upgrade to the monthly or annual plan if you are happy with the service. For more information, please visit: www.tigervpn.com. TheVPNStore Review (HeroVPN) – Should You Subscribe? MexVPN Review – How Does it Rate?